"It was quite a day. I don't know what you can say about a day when you see four beautiful sunsets - three in one orbit and one on the surface. This is a little unusual, I think." 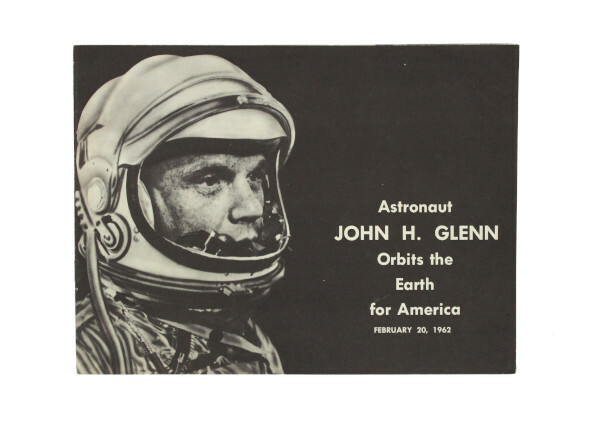 The booklet then details Glenn's mission from preparation, launch pad, climbing into the capsule, blasting off, orbit, touchdown and recovery, and finally the astronaut receiving the NASA Distinguished Service Medal from President Kennedy. 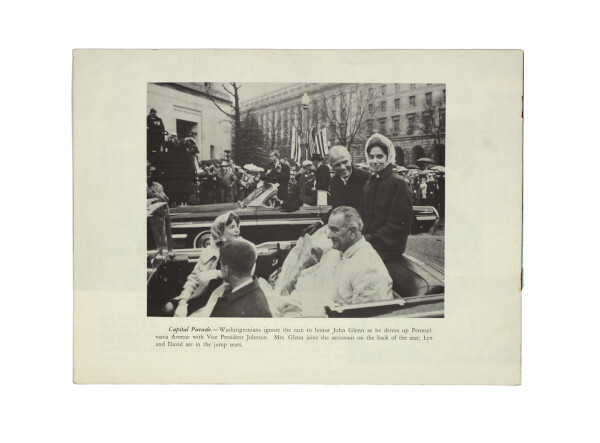 The booklet contains text and black and white photographs. Glenn was one of the first group of astronauts selected by NASA who became known as the “Mercury Seven.” Project Mercury was the United States’ first human spaceflight programme, with the aim of orbiting the Earth and returning safely. On 20 February 1962 Glenn became the first American to achieve this goal in his spacecraft “Friendship 7”. This achievement made him a national hero.